The New Media Institute would like to thank the Verizon Foundation and Julie Smith, Vice President of External Affairs, once again for their overly generous donation of $15,000 for elder new media development! Each semester NMIX students join together to work on projects that promote positive change through new media technology, and we wouldn’t have the opportunity to make as strong of an impact on new media development without the ongoing support of Verizon! This semester, the NMIX 2020 class is focusing on projects that deal with elder new media development. 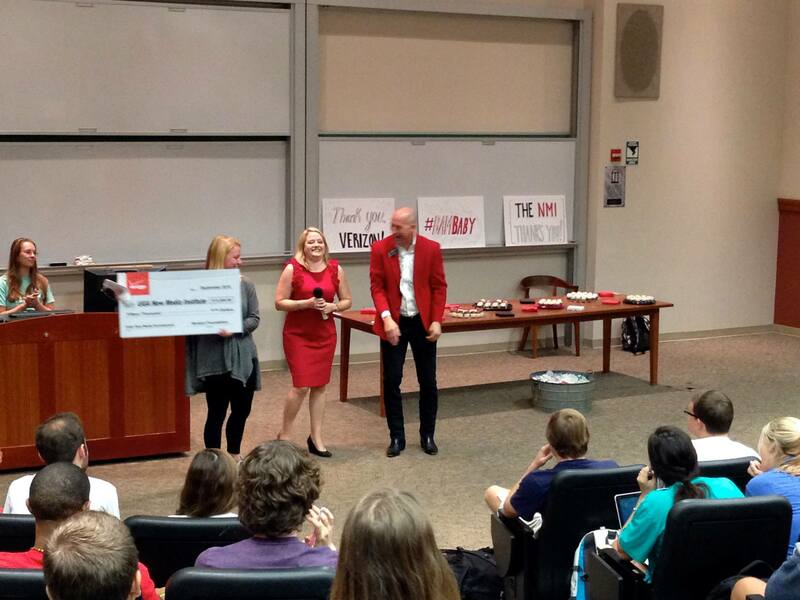 Earlier in the semester, Verizon joined NMIX 2020: Intro to New Media for a surprise check presentation and an appreciation party. The afternoon was full of promising ideas, good laughs, and yes… lots and lots of cupcakes!